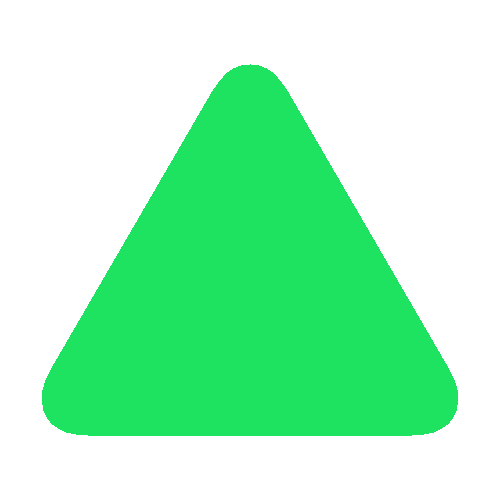 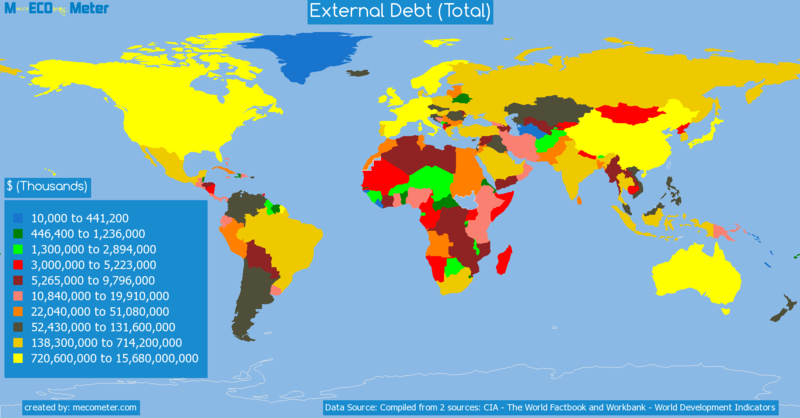 Value & RankThe External Debt (Total) of Nigeria is 15.7 ( billions of $) with a global rank of 85. 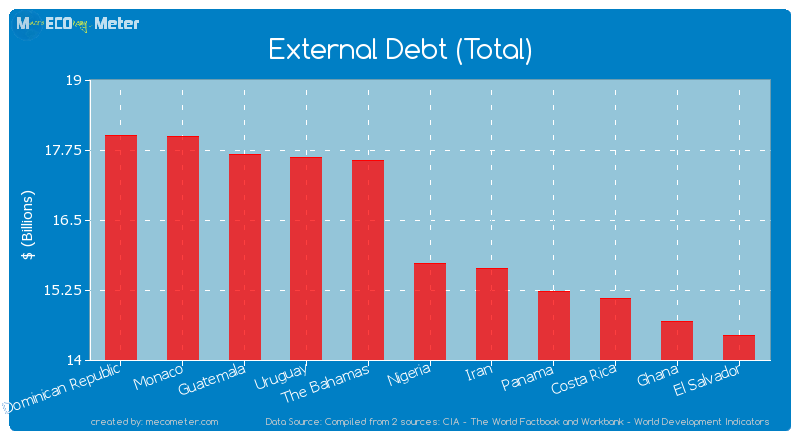 Nigeria compared to other CountriesThe External Debt (Total) of Nigeria is similar to that of Dominican Republic, Monaco, Guatemala, Uruguay, The Bahamas, Iran, Panama, Costa Rica, Ghana, El Salvador with a respective External Debt (Total) of 18.0, 18.0, 17.7, 17.6, 17.6, 15.6, 15.2, 15.1, 14.7, 14.4 ( billions of $) and a global rank of 80, 81, 82, 83, 84, 86, 87, 88, 89, 90.10 years declineNigeria's External Debt (Total) had a negative growth (decline) of 49.4 (%) in the last 10 years from (2003 to 2013). 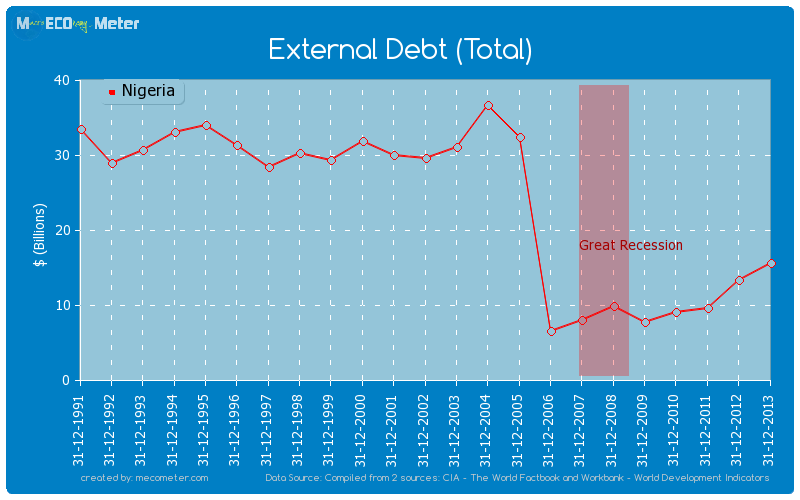 Last 10 years averageNigeria had an average External Debt (Total) of 16.4 ( billions of $) in the last 10 years from (2003 to 2013).